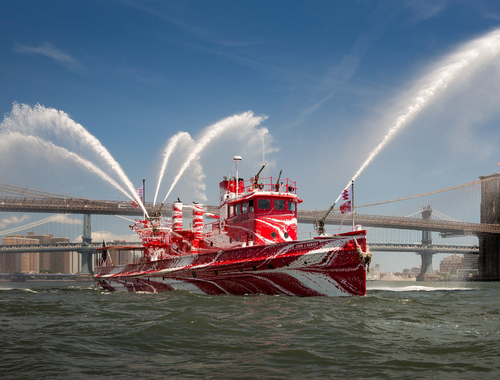 A retired fireboat in New York Harbor will be giving tourists the ol’ razzle-dazzle for the remainder of the summer and fall as part of a public-art project highlighting a unique form of “camouflage” developed a century ago. The piece sees the retired New York fireboat John J. Harvey covered in what's known as "dazzle camouflage." 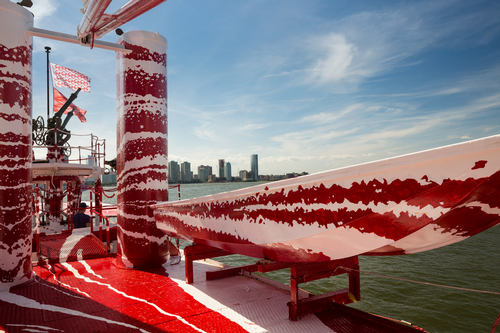 Artist Tauba Auerbach, in a piece called “Flow Separation,” decorated the former FDNY fireboat John J. Harvey in what’s known as dazzle camouflage, a technique that became popular during WWI for its ability to throw off enemy submarines attempting to keep tabs on a vessel. In contrast with what we generally think of as camouflage, dazzle camo is bright, garish and patterned, making it difficult to tell from afar which way a ship is moving and how fast. The approach combines patterns found in some animals’ coloration with the techniques associate with Cubism, the visual-art movement that became popular just before the war. Auerbach’s piece was co-commissioned by New York City’s Public Art Fund and 14-18 NOW, an arts series created to commemorate the centennial of WWI. Many of 14-18 NOW’s early exhibitions and installations took place in the U.K.; this year, the organization is bringing projects to the U.S.
Dazzle camo is bright, garish and patterned, making it difficult to tell from afar which way a ship is moving and how fast. It’s not the first dazzle camo creation for 14-18 NOW: As PaintSquare Daily News reported in 2016, the organization commissioned artist Ciara Phillips and others to decorate ships in dazzle camouflage patterns in Edinburgh, London and Liverpool from 2014 through 2016. Auerbach is participating in the exhibit courtesy of Paula Cooper Gallery. The John J. Harvey, which has given public trips as part of its mission since its retirement, will offer free rides between Brooklyn Bridge Park and Hudson River Park for the remainder of the summer, and will make stops at events throughout the city, as well as upriver in Albany, where it will dock alongside another historic dazzle ship, according to the Public Art Fund. The Harvey was built in 1931 and operated with FDNY until 1994. 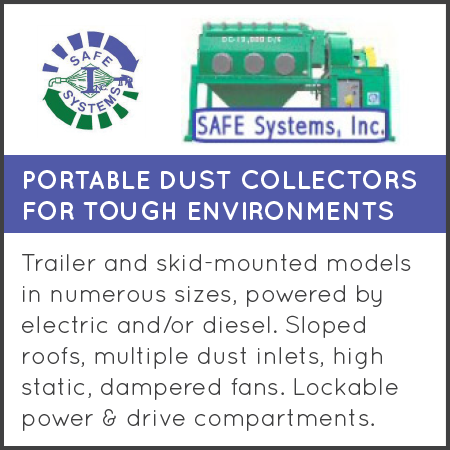 It was brought out of retirement on Sept. 11, 2001, to help fight the fires at the World Trade Center site while water main damage in Manhattan rendered hydrants inoperable. As part of the exhibit, sponsored by the Bloomberg Philanthropies, “Flow Separation” will remain on display in Hudson River Park in Chelsea throughout the winter. According to the Public Art Fund, the John J. Harvey will be returned to its original, historic paint scheme after the exhibit ends May 12, 2019.